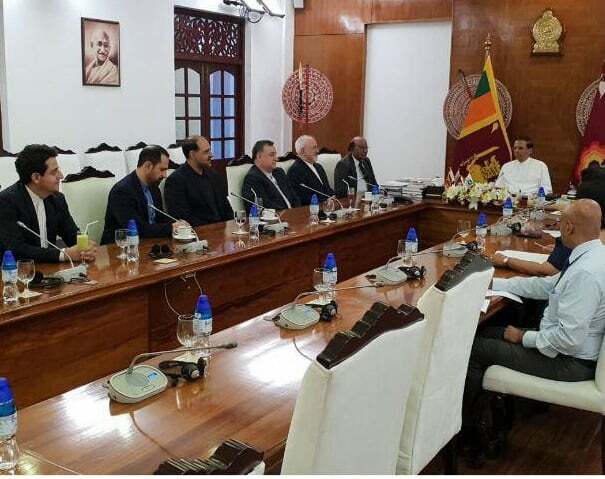 Iranian Foreign Minister Mohammad Javad Zarif and Sri Lankan President Maithripala Sirisena have discussed regional and international issues in a meeting in Colombo. 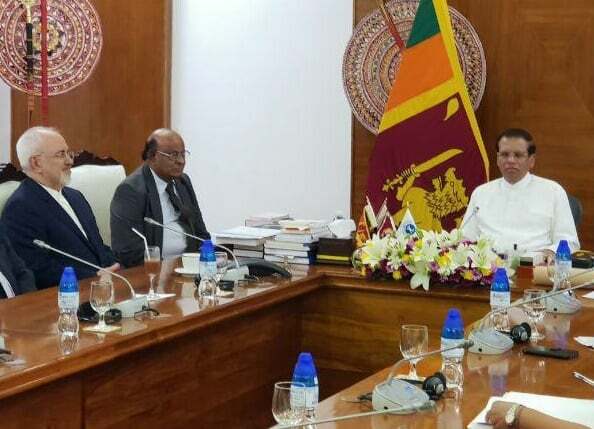 During the Tuesday talks, Sirisena highlighted the friendly and age-old relations between the two countries and described his trip to Iran in May as a constructive one. He further underlined the grounds for further expansion of Tehran-Colombo cooperation in different fields, especially in the field of energy, and called for the strengthening of bilateral ties in international organizations. “There is no obstacle in the way of expanding ties between the two countries,” he said. 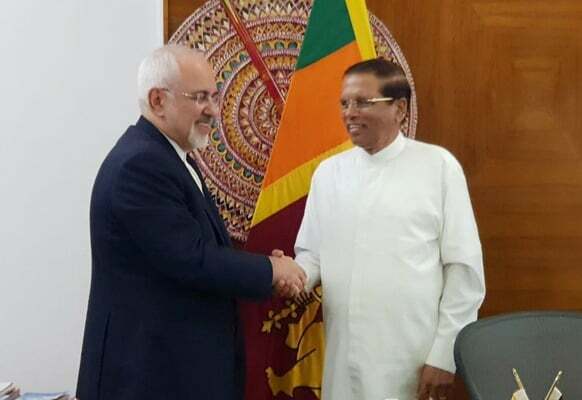 Zarif, in turn, relayed greetings from President Hassan Rouhani to Sirisena, and told the Sri Lankan leader that Tehran is keen to enhance its cooperation with Colombo in all fields in line with the interests of both countries. The Iranian top diplomat referred to the vast and diverse capacities for promotion of cooperation between the two sides, and called for continued interactions in the fields of energy, agriculture, and technical-engineering services. 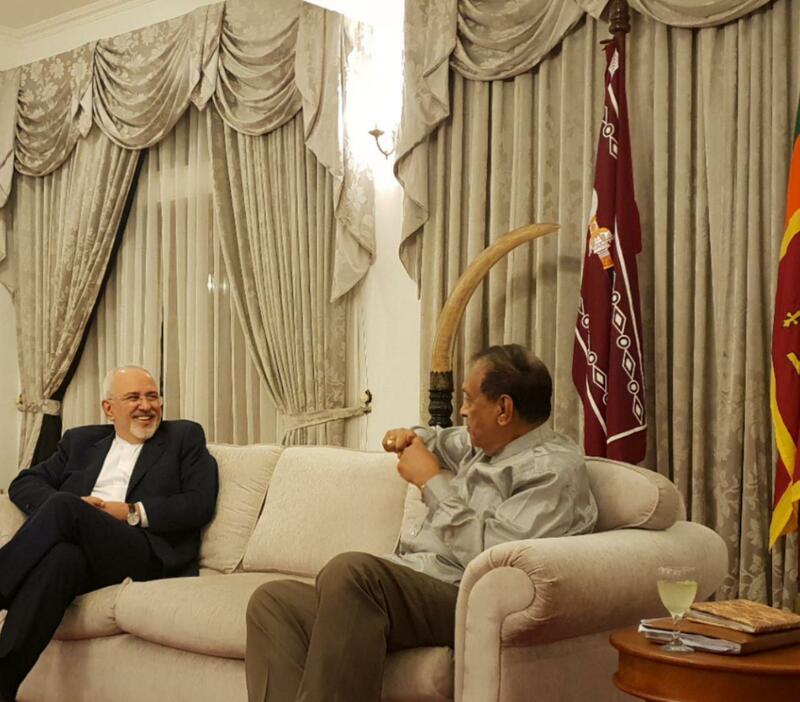 Later in the day, Zarif also held talks with Karu Jayasuriya, the Speaker of the Parliament of Sri Lanka. In this meeting, Zarif and Jayasuriya emphasised the continuation, expansion and boosting of the two countries’ excellent relations in all fields, especially in the parliamentary field. Zarif and his accompanying delegation attended the Sri Lankan Speaker’s banquet after this meeting.